Happy St. Patrick’s Day to you! I am enjoying your blog and have plans for your potato and leek soup tonight! Beautiful sweaters and I have grandchildren! I hope you enjoy your Irish soup tonight, Mary. Happy St. Patrick’s Day. 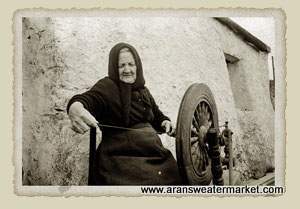 I have been to the Aran Islands and have a lovely bed blanket and recently bought online a lovely knitted coat. Hi Joan – I hope you make it to live in Galway sometime. When the sun shines on Galway Bay there’s no place else on earth quite like it. Glad to hear you made it to the Aran Islands on a trip to Ireland. I want to be able to knit one of these so bad! I am just on my first sweater now. It’s just stockinette with raglan sleeves. I’m not read to attempt cables yet. Hi Veronica – Keep knitting and you’ll just get better and better. Someday soon you’ll be ready to tackle these cables. Happy St. Patrick’s day!! These sweaters are not only lovely but warm and cozy!! Thank you for the opportunity to have one. Have a grand day!! And I hope you have a grand day too, Julie. Happy St Patrick’s Day!! ? I was so sorry when we visited Ireland we weren’t able to go to the Aran Islands.it was a very rainy stormy day, and didn’t think we wanted to test ourselves on the ferry over! 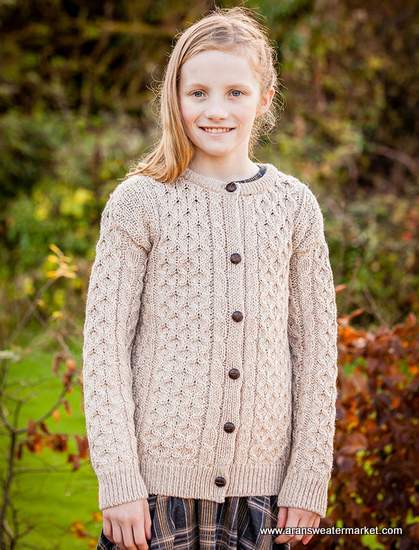 Would love to give my grandaughter one of theses beautiful sweaters! Thanks Mairead…….? Hi Pat – I’m sure your grandaughter would treasure one of these sweaters. Have a lovely Paddy’s Day. And to you too, Jason. Thank you for the information on the Aran Islands. The pictures are absolutely beautiful. Ireland is on my list (top of the list) of places I want to visit. I’ll be adding the Aran Islands to that! I hope you make it to Ireland someday soon, Lee. Have a lovely day celebrating all things Irish. 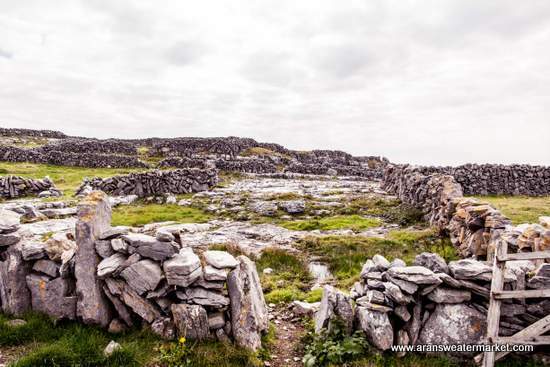 Thanks for sharing–I’m dying to visit the Aran Islands! Hi Laurie – Me too. I’ve never made the crossing to the islands. I’ve been in Connemara, County Galway many times, but the weather never cooperated for a trip to Aran. Next time I make it to Galway I hope to take the trip, and I hope you make it there someday very soon too. Happy St. Patrick’s Day from NYC! I love this blog! I’ve been to Ireland twice and plan on returning soon. 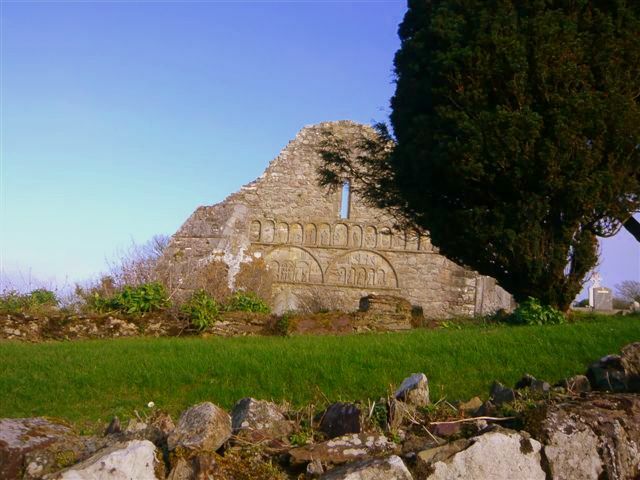 Am 100% Irish American with family from Kildare and Meath and love your ramblings on all things Irish! Right now I’m reading Rebel Sisters. Been to the Gaol but knew nothing about the Gifford family. Thank you for sharing! Hi Mary – Thanks so much for following my ramblings. Enjoy your book, Rebel Sisters. I too love historical novels, especially those set in Ireland. I hope your next trip to Ireland will be very soon. Happy St. Paddy’s Day. I need an Aran sweater…..mine is from childhood! Would love to have one for my children as well. Thank you for this wonderful giveaway. Thanks so much for stopping be to support our little Irish giveaway. Thank you Mairead and Happy St Patricks day to you. I love the Aran stitch and its tradititions of Ireland. Best wishes for a lovely St. Patrick’s Day, Maureen. The sweaters are beautiful, I would love to have one for my son. 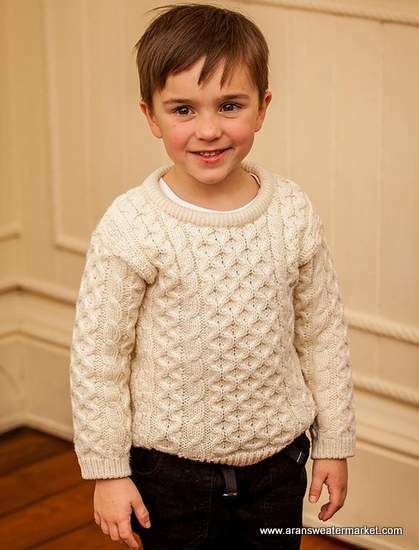 Hi Kristy – Little boys always look adorable in an Aran sweater. Enjoy this special Irish holiday today. Happy St. Patrick’s Day! I spent a few days on the Aran Islands, and it is one of my very favorite places. I hope to get back in the near future! Hi Laura – A bleak and beautiful place that will probably call to you always. Hope you make it back there someday soon. Hi Jayne – When my kids were born my mom knit them some cable cardigans – they were adorable, and just like you, people stopped me all the time to ask about them. There is something so special about a handknit gift from grandma. Happy St. Patrick’s Day! ?. The sweaters are beautiful! Happy St Patrick’s Day from Boston! I fondly remember my visit to the Aran Islands, and we all love the raisin scone recipe! Hi Susan – Hope you’re having a fabulous St. Paddy’s Day in Boston, and thanks so much for giving my raisin scones your seal of approval. I really appreciate it. Just beautiful! My eight year old would love it. Have a blessed St Patrick’s day! St. Patrick’s Day blessings to you too, Athena. What a wonderful giveaway! 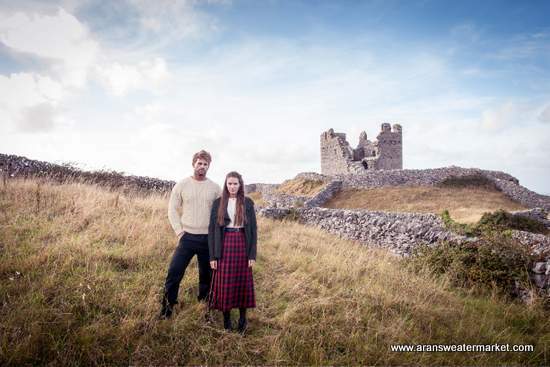 The Aran Sweaters are such a lovely piece of handmade craftmanship, I would to own one! Hi Arizona – They are beautiful works of art, and iconic symbols of the Emerald Isle. What a wonderful website you run here! Though I have visited the Emerald Isle several times, I have not made it to the Aran Islands. Hopefully one day I may. The sweaters and traditions behind them have long interested me – this article was so lovely. Happy St. Patrick’s Day! Hi Abby – Thanks for your kind words about my website and this article. I’m so glad you enjoyed it. Have a lovely St. Patrick’s Day. I visited one of the Aran islands once. And a happy Saint Patrick’s Day to you. Up our way they know that Christmas is well and truly over when they see people wearing shamrock. Wow, that long? Although I do see house that still have Christmas decorations up still. I guess they are just getting a head start on next year! Hi Mattie – I’d say you looked smashing in your Aran sweater in the sixties. I was born in the sixties and I always had a báinín to wear. My mom used to knit them. I even had an Aran hat with the biggest pom-pom ever wobbling on the top. I thought I was smashing. P.S. I hope your Christmas decorations have been replaced by shamrocks. You made me laugh with that one. Beautiful work from a magical land ??☘? Absolutely lovely post about these beautiful islands! I have not been to Inis Mór for about 6 years but I still remember the little dog we played fetch with on the shore in the wind and rain. They certainly have the right weather for these fantastic knits! What a lovely memory of the Aran Islands, Allys. I’ve heard they are magical. I hope to make it there someday, rain or shine. I am married to an Irishman, have been to one of the beautiful Aran isles…forget which one! Hi Sherry – I’m sure your granddaughter would wear her Aran with Irish pride. Thanks so much Timothy. Have a wonderful St. Patrick’s Day too. Always admired these lovely wearable pieces of art! And I have 2 granddaughters who would love one ! Hi Debbie – “Wearable pieces of art” that sums these lovely sweaters up exactly. Thanks so much for stopping by and have a lovely day celebrating all things Irish and St. Patrick. Love the sweaters and their history. Happy St. Patrick’s Day to you too, Catherine. Mary – Happy St. Patrick’s Day to you and yours, too. 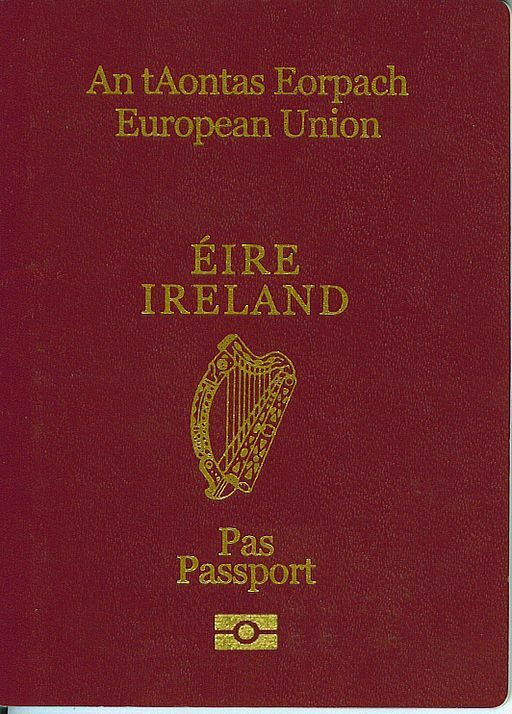 Hi Sharon – What a lovely way to feel connected to your mother and your Irish ancestry. Your grandchild might feel a connection to the Emerald Isle too in a beautiful Aran sweater. Thanks so much for supporting this giveaway. Happy St. Patrick’s Day from Los Angeles! My daughter and I have just made your chocolate biscuit cake – I LOVED chocolate biscuit cake when I was little and have been looking for a good recipe. Yours looks delicious!! Enjoy your chocolate biscuit cake, today. A perfect treat to celebrate St. Patrick. Beautiful sweaters! 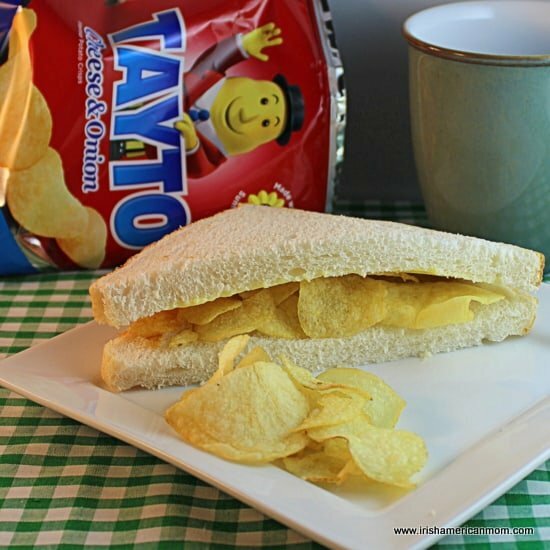 Happy St Patrick’s Day and a special thanks for your tea brach recipe!! Hi Elizabeth – Thanks for giving my tea brack your seal of approval. Happy St. Patrick’s Day to you and yours. Happy St. Patrick’s Day! I LOVE my Aran sweaters! Thank you for the opportunity to perhaps win one for for my niece and nephew! Hi Sharon – Thanks so much for stopping by and checking out this blog post. Hope you have a lovely St. Patrick’s Day. Hi Marpat – I’m thrilled you found my website. It’s my little corner of the world wide web where we can have a little chat about all things Irish and Irish American. I love how you say wearing your Aran sweater makes you feel like you’re “wrapped in Ireland love.” Fantastic. Happy Saint Patrick’s Day! Aran sweaters are SO beautiful! I would love to be able to give one to my daughter Esther!! Hi Michael – Aran sweaters are truly beautiful and I’m sure Esther would love to wear one. I came for the recipes and I saw this and had to enter. I have two boys and one of these would be be amazing. Happy St. Patrick’s Day! 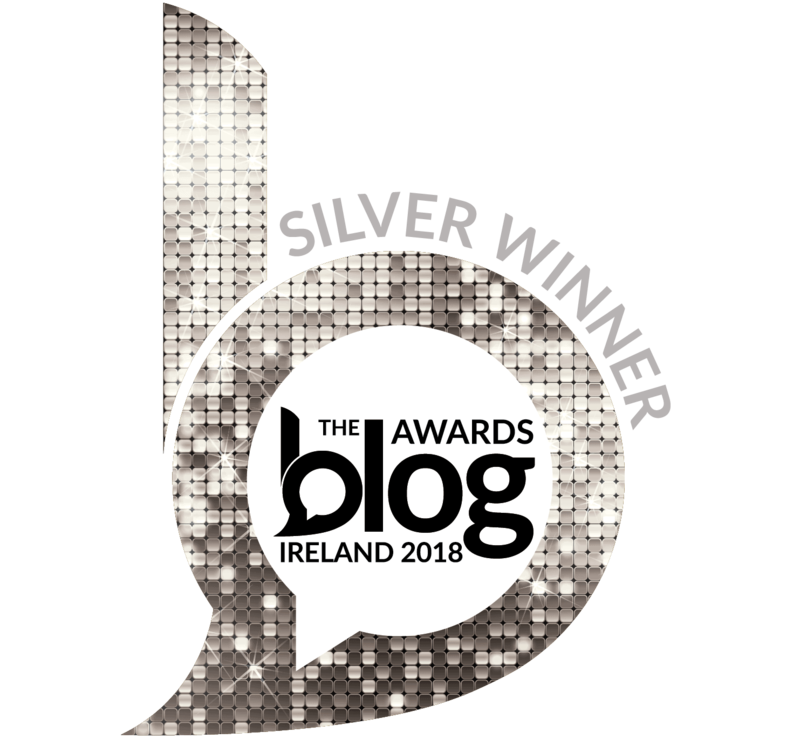 Mairéad, not only is this a generous giveaway, it proved to be invaluable information and research for my novel-in-progress, which is set in Ireland and prominently features an Aran sweater! Happy St. Patrick’s Day Mairéad! 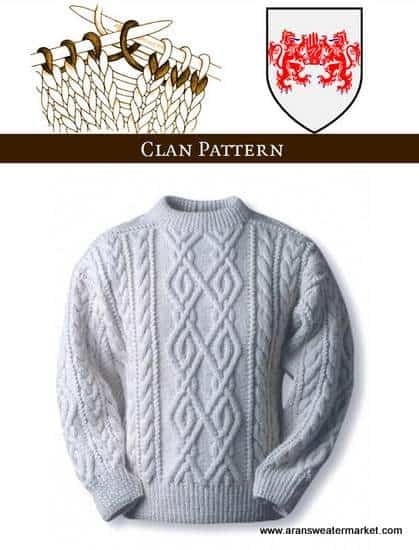 The history of the aran patterns is facinating, just like the plaid Scottish Kilt patterns. I can’t wait until I get a little free time to dive into that subject! Beautiful sweaters! I have never visited the Aran Islands, or Ireland for that matter, but my dream is to someday visit the area where my family is from. 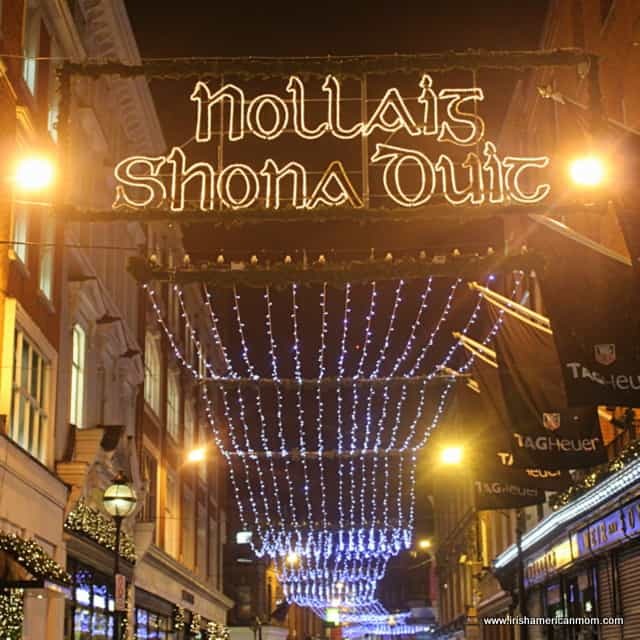 Oh, how my heart longs for a trip to Ireland! I have always wanted one of these sweaters so winning one for my child will be the next best thing. Happy St. Patrick’s Day! 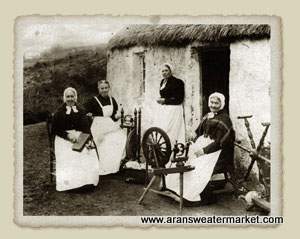 Loved visiting the Aran islands and have always loved Aran sweaters. These are gorgeous! 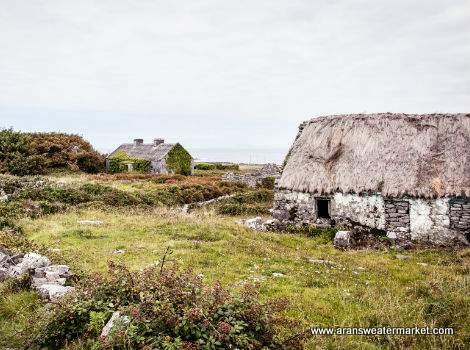 I’d love to go explore the Aran islands and get a chance to see some beautiful countryside and meet some new people and cultures! I bought an Aran sweater for my Irish mother a few years ago. Now I have given her Irish grandbabies. Time to adorn them in Aran sweaters too. You can’t beat knitting a good Aran. 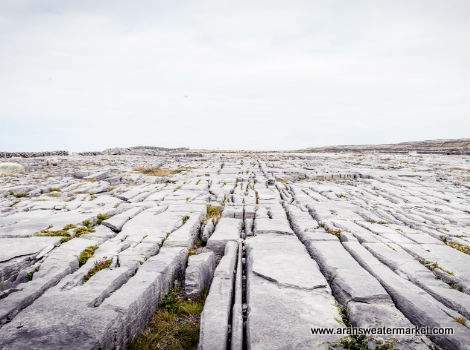 The Aran Islands look beautiful! I own two Aran sweaters, and I love them. I have a grandson who would look so cute in one. Aran sweaters are definitely my favorite part of colder weather. I would love to win one for my niece or one of my nephews! They’d look so darn cute in them.